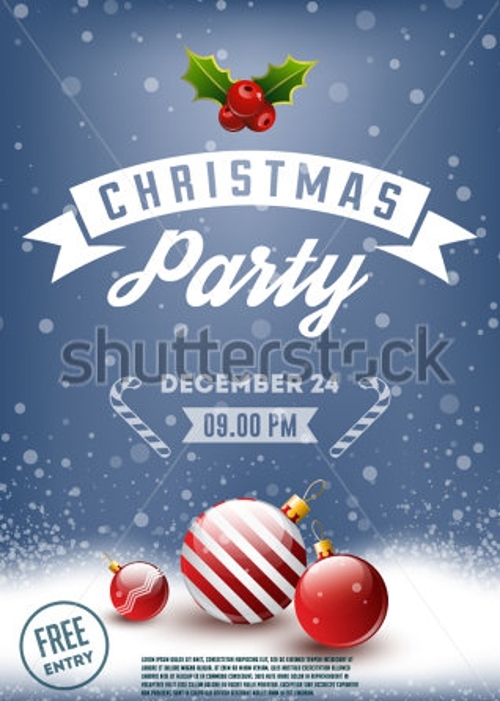 To capture the celebratory spirit of Christmas, use the best of the party flyer designs available for free and easy download. Why stick to the same old traditional shapes, size and colour for making the flyer designs when you can get the plethora of options and the new trends of designs that can make your posters and flyers stand out! The party flyers for the Christmas season also extend their charms to the New Year, which is why the designs should be complementary. 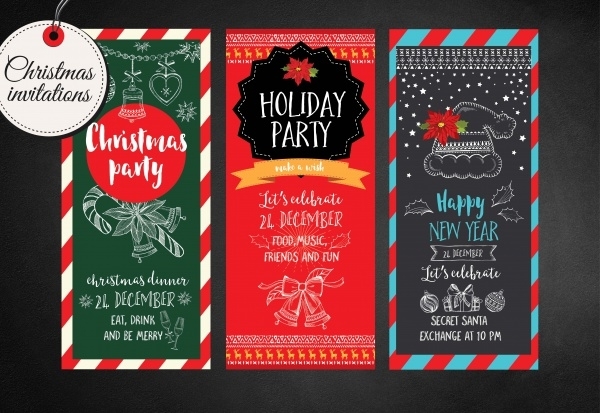 It’s no wonder that Christmas is a busy time for all kinds of businesses and so is for the designers who need to prepare for the different flyers portraying the festive spirit of the season. As these flyers generally act as marketing material for business promotional activities, they need to be created in a manner which will support both the digital and the printable format. The pixels, gradient, drop-shadow needs to be corrected as per requirement. You’ll get the stock images in popular formats like PSD, PNG and JPG. Be it landscape or portrait mode, make the flyer personalized with new borders, image filters, superimposed images etc. 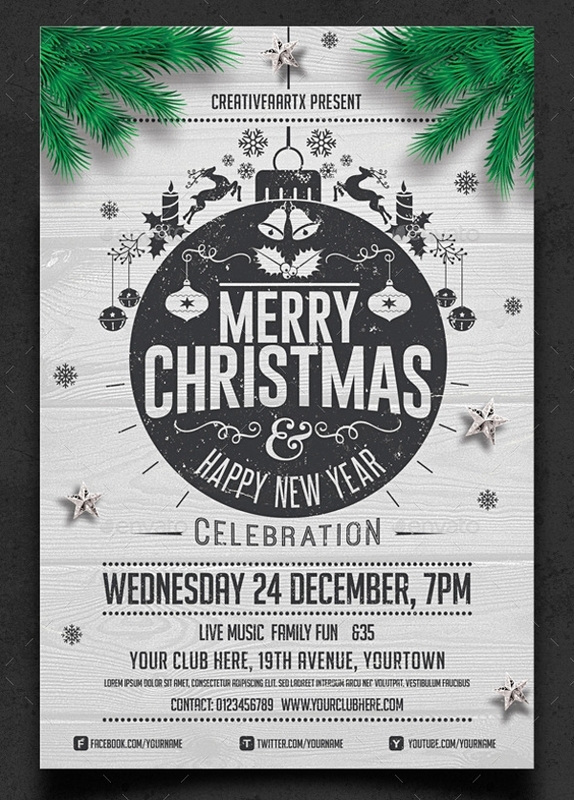 there are plenty of Christmas related design elements which can be utilised to make the flyers for the party. Use Photoshop to give a readymade flyer a retouch and make it more interesting than just the original concept. Use the free fonts available to write the message and make the flyer more customised. Don’t just remain stuck to the red and white shade but explore all shades of colour to make it look brightened.